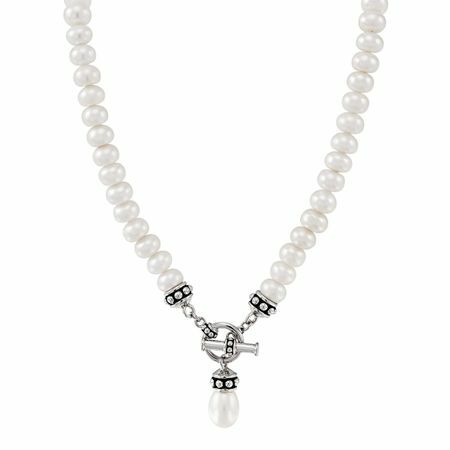 Nothing says 'charming' like this classic white pearl necklace with timeless details! 7.5-8 mm white freshwater pearls are strung side-by-side with a 9-9.5 mm freshwater pearl suspended at the base. Finishing this necklace off is its beautiful pallini details created with black enamel for elegant contrasting. Piece measures 17 inches in length and features a toggle clasp.